Join Splash Artists for their annual Spring Unveiling. Each artist creates a new piece specifically for this popular event. The pieces will be hung in the gallery and covered until the night of the unveiling. Each artist will unveil their new piece and talk about their inspiration and processes of its creation. 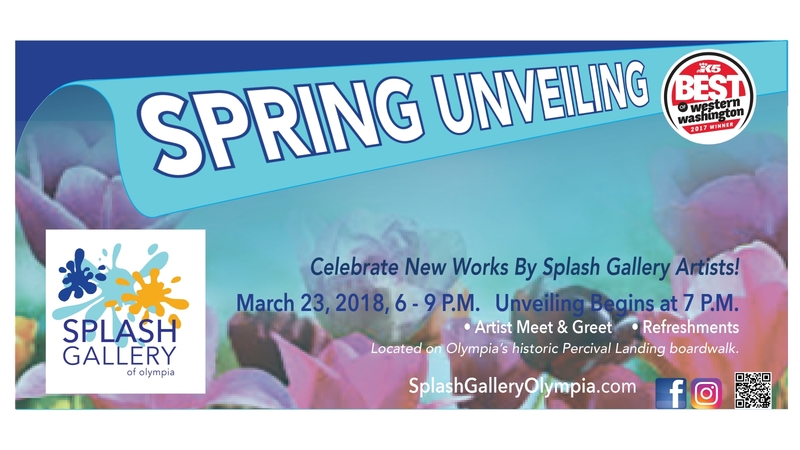 This is a great opportunity to meet local artists, and enjoy some light refreshments in the beautiful Splash Gallery located on the Olympia historical Percival Landing boardwalk.